Starting today, drivers who park at all on-street metered spaces throughout Hoboken will be able to use their mobile phone to easily pay for parking using the Parkmobile application. The first 1,000 customers to use the app in August can receive up to 2 hours of free parking using the code 2FREEHOB. The Parkmobile application is available for the iPhone, Android, Windows 7, and Blackberry smartphones. Drivers can also call 877-PARK304 and will continue to have the option to pay at meters with credit card, debit card, smart card, coins, and bills where available. To use the new Parkmobile system, customers register free at www.parkmobile.com. Once registered, they can use a mobile app, internet, or call toll free to pay for parking. After setting up their account, customers can immediately begin using the system with their registered mobile device. Signage on parking meters will indicate the zone number, which in Hoboken range from 4710 to 4722. 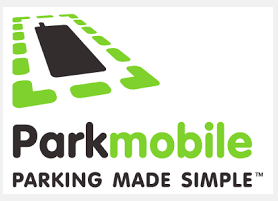 Enforcement officers will be able to see that a motorist has paid with Parkmobile using a wireless handheld device. Mobile app users may also choose to receive alerts and reminders prior to expiration of their parking session. Time limits on meters still apply and the app will not allow users to purchase more time than allotted by the meters. A 35 cent fee will be charged for each transaction. Parkmobile is in use in communities throughout the region including Newark, Union City, West New York, Bloomfield, Montclair, Summit, Chatham, Ridgewood, Glen Rock, New Brunswick, and other major cities including Pittsburgh and Washington, DC. In February, New York City DOT awarded a contract to Parkmobile to allow mobile payment at all metered spaces across all five boroughs.